In another blow to President Trump’s efforts to end the program known as Deferred Action for Childhood Arrivals (DACA), a federal judge in Washington D.C. recently ordered the administration to fully restore the immigration program. Read on to learn about DACA and the recent court opinion, and contact a knowledgeable immigration attorney with any questions. 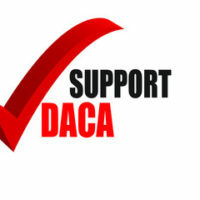 DACA is an immigration policy that was established by President Obama via executive branch memorandum in June 2012. The policy allows some children who were brought to the U.S. as children to receive a renewable two-year deferral from deportation and become eligible for a work permit. 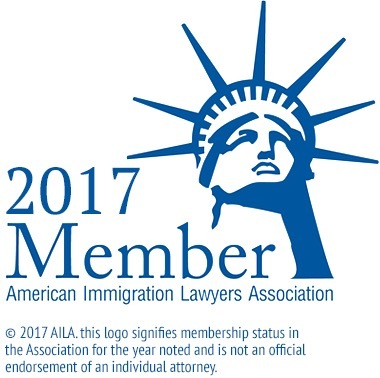 DACA is not a path to citizenship for the recipients, but rather simply allows them to remain and work legally in the U.S.
DACA was expanded in November 2014 to a broader class of aliens: People of any current age who entered the U.S. before age 16 and have lived continuously in the U.S. since 2010. The Department of Homeland Security (DHS) rescinded the expansion in June 2017, and the Trump Administration began plans to entirely end DACA in September 2017. DHS stopped taking new applications in September 2017 and stopped processing applications from immigrants already in the program. The recent D.C. court order marks the third federal district court to find against Trump’s plans to unilaterally end DACA, following rulings in New York and San Francisco. The prior rulings prevented the administration from canceling the review process for people already enrolled in DACA but did not affect young immigrants who had never enrolled in DACA or who had already been rejected. The new order out of Washington D.C. goes further, requiring that the U.S. must keep DACA for existing enrollees and accept new applications. The court explained that while DHS does have the authority to end DACA, it must offer a legitimate, rational, and legal justification for doing so. The Justice Department had argued that it ended DACA because DACA was an illegal and unconstitutional overreach by the Obama Administration. The D.C. court rejected this argument on multiple occasions, including in the recent order, finding that DACA was perfectly legal as originally implemented. The Court found that DHS had offered no rational and legitimate justification for ending DACA, and so must continue accepting applications under the policy. If you or a loved one are facing deportation or have questions or concerns about your citizenship status, contact the experienced and passionate Queens immigration lawyers at Gladstein & Messinger at 718-793-7800 or toll-free at 800-339-0535. Disclaimer: The invitation to contact our firm does not create an attorney-client relationship. Gladstein & Messinger, P.C. respects your privacy online and will not share your name and contact information with a third party without your consent. © 2014 - 2019 Queens Immigration Law, Gladstein & Messinger, P.C. All rights reserved.